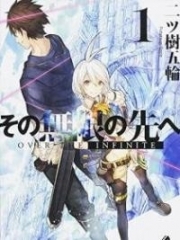 You’re reading novel Chaotic Sword God Chapter 1992 online at LightNovelFree.com. Please use the follow button to get notification about the latest chapter next time when you visit LightNovelFree.com. Use F11 button to read novel in full-screen(PC only). Drop by anytime you want to read free – fast – latest novel. It’s great if you could leave a comment, share your opinion about the new chapters, new novel with others on the internet. We’ll do our best to bring you the finest, latest novel everyday. Enjoy! The expressions of Sacredfeather, Rui Jin, Hong Lian, Hei Yu, and the others who had come up from the Tian Yuan Continent all changed. They knew without even thinking what the outcome would be when an OverG.o.d faced the pursuit of a Primordial realm expert. On the other hand, the Xi Emperor's eyes lit up when he heard that. He said, "Do you have an image of Jian Chen and something that contains his presence?" "We do. The patriarch's room and cultivation room should possess his residual presence," said Mo Ling. Afterwards, he led the Xi Emperor directly to where Jian Chen stayed. The Xi Emperor was a supreme expert. In Jian Chen's room, he was able to capture any residual presence without any effort. Afterwards, he immediately expanded the senses of his soul, blanketing the surroundings. Xi Yu stared at the Xi Emperor nervously. Even though she was unable to accept her parents who had appeared out of nowhere, only they could save Jian Chen now. Very soon, the Xi Emperor retracted the senses of his soul. He looked at Xi Yu and said, "I've discovered Huai An outside the imperial capital of the Blood Sun Empire, but he is injured. He was injured by people of the Blood Sun Empire. There are residual presences of Jian Chen in the imperial capital, but he's not there." "However, a spatial battles.h.i.+p took off recently. Jian Chen's presence vanished at the spatial battles.h.i.+p's dock. If I've guessed correctly, he should have boarded the spatial battles.h.i.+p and left the Cloud Plane. Xi Yu and the other people of the Tian Yuan clan finally felt relieved when they heard that Jian Chen was fine. However, the Xi Emperor felt some pity. Originally, he wanted to mend his relations.h.i.+p with his daughter through saving Jian Chen. It could help reduce the amount of repulsion his daughter felt towards him. However, he failed to find Jian Chen. "Jia Yun greets the emperor, empress, and princess!" Before long, a refined, middle-aged man in white robes arrived at the Tian Yuan clan. He bowed towards the three of them politely. Jia Yun was the Radiant G.o.dking that the Xi Emperor had summoned over from the Xi Empire. He had hurried over as quickly as he could through the teleportation formations. As soon as he arrived in the Tian Yuan clan, he had learnt Xi Yu's ident.i.ty from a Primordial realm expert who had come with the Xi Emperor. Xi Yu immediately brought Jia Yun eagerly to where Mo Yan had died after learning he was a Radiant G.o.dking. She asked frantically, "Senior, can you really revive sister Mo Yan?" Jia Yun closed his eyes to sense the surroundings before smiling confidently. He clasped his fist at Xi Yu and said, "Although her body is destroyed, her soul has not dispersed. It still remains, so don't worry, your highness. Saving her won't be anything difficult." 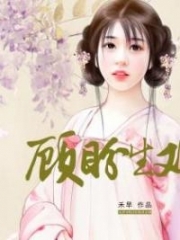 "Then I'll trouble senior Jia Yun with saving sister Mo Yan," Xi Yu was elated. "Yes, your highness," Jia Yun clasped his hands politely. Xi Yu was the only daughter of the Xi Emperor, so her status was naturally far greater than the past. Even though Jia Yun was a Radiant G.o.dking, possessing a status greater than all other G.o.dkings in the Blood Sun Empire, he still needed to be polite to the Xi Emperor's only daughter. However, just when Jia Yun was about to revive Mo Yan, he suddenly paused. However, he returned to normal very soon. He said to Xi Yu, "Your highness, to save this person, the process must be performed in the Xi Empire where I enter seclusion. There's a formation engraved there, making the Radiant Force extremely abundant. Only under those circ.u.mstances will success be certain." "Moreover, when I condense the soul, there's a very high chance that she will lose her memory and forget the past. As a result, to ensure that your highness' sister retains her memory, I will need your highness to constantly call her name besides me and use your highness' presence as a medium so that the recovered soul won't lose any past memories." Jia Yun's expression was rather unnatural. Ever since he had started cultivating, this was the first time he had told such a lengthy lie. However, he felt extremely powerless, as the Xi Emperor had ordered him to 'trick' the princess back to the Xi Empire no matter what method he had to use. As a result, he could only spin a lie like this. In reality, it would be nothing difficult to revive Mo Yan whose soul remained intact with his abilities as a Radiant G.o.dking. "Alright. Let's go immediately!" Xi Yu agreed without any hesitation. She did not understand the powers of Radiant G.o.dkings at all. Naturally, she did not know that there was no need to venture to the Xi Empire to save Mo Yan with Jia Yun's level of cultivation. However, Jia Yun was her only hope of saving Mo Yan. Let alone the Xi Empire, Xi Yu would even wade through danger to save Mo Yan. "Let's not tarry and return right now. You don't have to worry about the Tian Yuan clan. I will get someone to safeguard the place for now…" The Xi Emperor beamed. He gave Jia Yun a glance of appreciation before immediately leaving the Tian Yuan clan with Xi Yu to return to the Xi Empire. As for the two old men who had come along, one of them remained in the Tian Yuan clan. After the Xi Emperor had departed, the Primordial realm experts of the Heavenly Moon Empire finally gained a chance to speak. Whether they were a part of the imperial family, were the ancestor of the Earth Spirit sect or Daoist Sect of Calm Clouds, they all removed all haughtiness as Primordial realm experts to express their goodwill towards the Tian Yuan clan. All of them behaved extremely politely, leaving behind various resources before leaving. Huai An and his three G.o.dkings slowly flew through the air outside the imperial capital of the Blood Sun Empire. Huai An's face was extremely sunken as terrifying killing intent flickered in his eyes from time to time. The three protectors behind him remained silent, following him in fear. The three of them knew that they had made the vice-leader extremely furious since they had failed to stop Jian Chen, allowing him to flee to the imperial capital of the Blood Sun Empire and board the spatial battles.h.i.+p in the end. "A Chaotic Prime's presence has appeared in the Divine Kingdom of Pingtian. I'll go check out the situation first before wiping out the Tian Yuan clan along the way," thought Huai An. He directly flew towards the Divine Kingdom of Pingtian with the three G.o.dkings behind him. Jian Chen stood by a window and gazed out of it blankly. Currently, he was in the huge cabin at the bottom of the spatial battles.h.i.+p. He stared at the huge piece of land that rapidly shrank. The spatial battles.h.i.+p accelerated. As it drew further and further away, the vast land was finally completely visible. This was the first time Jian Chen had seen the Cloud Plane as a whole. The Cloud Plane was not spherical. Instead, it was a huge piece of land that floated in the sky. Land and sea occupied equal areas while the sea divided the entire piece of land into five regions. They formed the five major regions. Jian Chen looked at the southern region as if he wanted to find the Tian Yuan clan. Unfortunately, the Tian Yuan clan occupied just too small of a s.p.a.ce with the entire southern region in perspective. He even struggled to find the territory of the Divine Kingdom of Pingtian from where he was. Just when Jian Chen was in a daze, a long chime suddenly rang through the cabin. With it, a haughty voice rang out, "Get to work, get to work. Quit staring at me. The s.h.i.+p has already entered outer s.p.a.ce, so provide the s.h.i.+p with energy quickly. Don't laze around. You already know what happens if you're lazy, so I won't go into detail." You're reading novel Chaotic Sword God Chapter 1992 online at LightNovelFree.com. You can use the follow function to bookmark your favorite novel ( Only for registered users ). If you find any errors ( broken links, can't load photos, etc.. ), Please let us know so we can fix it as soon as possible. And when you start a conversation or debate about a certain topic with other people, please do not offend them just because you don't like their opinions. You're reading Chaotic Sword God Chapter 1992. This novel has been translated by Updating. 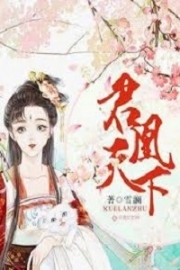 Author: Xin Xing Xiao Yao already has 1455 views. Current Time is Apr-25-2019 14:15:38 PM.